Famous actress and model Brooke Shields gained popularity through the movie Suddenly Susan. she has also featured on That ’70s Show and Lipstick Jungle. Brooke began her modeling career when she was eleven months old and became a big time model like Heidi Klum. She was born May 31, 1965 in New York. International rapper and singer Azealia Banks released hit tracks like Fantasea, in 2012 and ‘212’ with Lazy Jay in 2011. She has had a very controversial career, owing to her sexuality and disagreement with the constant media. Azealia has also worked with big time artistes like Kanye West. She was born May 31, 1991 in New York. Clint first gained recognition as iconic actor in the classic Western films A Fistful of Dollars and The Good, The Bad, and The Ugly and as Detective Harry Callahan in the Dirty Harry franchise. Later on he become a big time director, landing an Academy Awards for Best Director and Best Picture for his films Unforgiven and Million Dollar Baby. 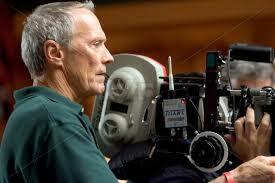 He also directed the critically acclaimed films Mystic River, Gran Torino and American Sniper. In 2006, he released a pair of films about the 1945 Battle of Iwo Jima: Flags of Our Fathers, which told a story of American soldiers, and Letters from Iwo Jima, which focused on Japanese soldiers. He was born May 31, 1930 in California.